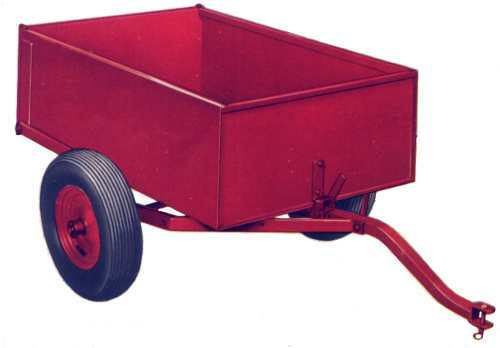 This unit is designed to permit the complete overturn of the dump body without disconnecting the trailer hitch and without lifting the trailer wheels from the ground. Balanced for easy dumping. Constructed with heavy gauge steel and completely reinforced. Roller bearings in wheels. Detachable tail gate. No tools needed to assemble. Capacity load of 1/2 ton. Pneumatic tires. Brake assembly optional. Shipping weight: 120 lbs.